Fluent is a two person exhibition featuring digital paintings by artist Deirdre McAdams and mixed media drawings by artist Denise Treizman. Fluent aims to highlight the individual articulation of language in these artists work. Through their construction of form into communicative meaning or the apprehension of objects into gesture. 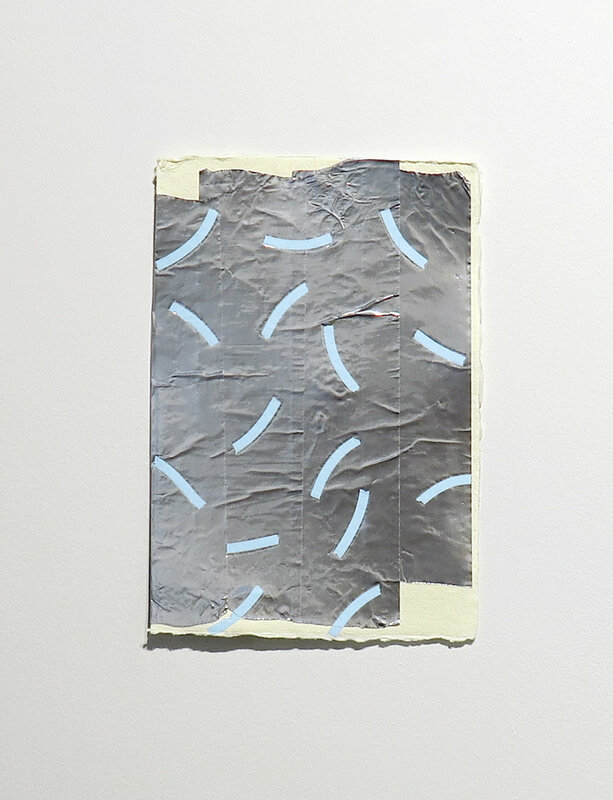 Deirdre McAdams’s work explores the mutability of abstraction and a systematic approach to painting. Her interests lay in how a predetermined conceptual framework can support and foster inventiveness in painting. Most recently this framework involves looking at the relationship between painting and language and at how a painting’s meaning is constructed and communicated. With this in mind McAdams conceives of her painted forms as stand-ins for words or sentences, or as vehicles for the communication of subjective content. McAdams uses words and titles to inform the composition and view them as being visual poems in that they employ an indirect or filtered methods of communicating ideas. In her current work McAdams thinks about the spaces between reference and abstraction, meaning and non-meaning and have as such been considering the legibility of symbols in painting, the associative possibilities of abstract form, and the notion of a painter’s vocabulary. McAdams titles more recently have referenced modes of conveying information: words, diagrams, illustrations, inscriptions, symbols for personal meaning. This latest series represents a shift towards a focus on digital painting; the images are made entirely digitally but reflect a filtering of elements from her works on canvas. Deirdre McAdams is a visual artist living and working in Vancouver, BC. She is a graduate of Emily Carr University of Art and Design (2008), and the Victoria College of Art (2003), where she studied painting. She was awarded an Honourable Mention in the 2011 RBC Painting Competition, as well as a prize in 2010 from Canadian Art Magazine for her writing on contemporary art, and has received multiple grants from the BC Arts Council. Her recent exhibitions include group shows at Unit/Pitt Projects, Field Contemporary, Wil Aballe Art Projects (Vancouver), Kathleen Cullen Fine Arts in Brooklyn NY, at Paul Kuhn Gallery in Calgary, and solo shows at CSA Space in Vancouver and G Gallery in Toronto. She has an upcoming exhibition at DNA artspace in London ON and will be a MFA candidate at the University of Guelph starting in the fall of 2017. Denise Treizman is a sculptor and painter. Her sculptural work repurposes found and ready-made objects spontaneously encountered during her daily life. These materials become part of her sculptures and whole room installations that are endlessly in-flux. Precariously constructed sculptures result from a process that embraces chance, explores material relationships and uses what is at hand. Like her assemblages, Denise’s painterly two-dimensional works featured in this exhibition employ the same disjointed process. Marks are gradually layered while movement is noticed, gestures and everyday materials are used for mark making. Some of these include markers, duct tape and correction tape, spray paint and glitter, among others. They capture the energy of her process on a piece of paper, a condensed sample of the gestures and spirit that are always present in her work. Through mark-making and sculptural gestures, Denise attempts to own objects that lie on no-man’s land, publicly abandoned yet unclaimed and overlooked by most people. Denise improvises and plays, allowing herself to be surprised by materials and their infinite possible combinations. Working both on the street and in the studio, examining how worthless fragments can be transformed into unexpected art experiences. Denise Treizman is a Chilean artist based in NY, she graduated from the School of Visual Arts, NY in 2013 with an MFA. Since then she has exhibited in the US and Chile. Including several solo exhibitions and group exhibitions. 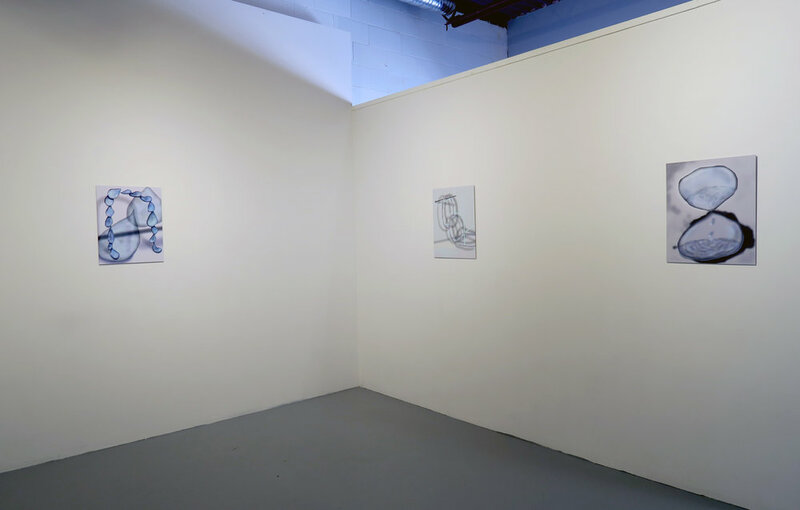 Most recently a solo, ‘Hasta la Vista, Maybe’ at Sunroom Project Space, Wave Hill, Bronx, NY; DelancyLudlowRivingtonNorfolk, Cuchifritos Gallery, NY; Verblist, E., Tay Gallery, Chicago, IL; Improbable, LVL3 Gallery, Chicago, IL. Denise has also been a recipient of The Elizabeth Foundation Studio Program, NY, 2015 and received in 2016 the Flow 16 Public Sculpture Commission for Randall’s Island, NY, awarded by the Bronx Museum and NYC Parks Alliance. Denise is originally from Chile.